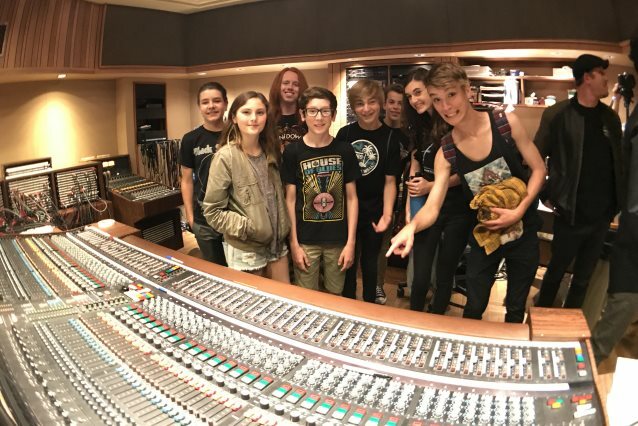 The Produce Like A Pro team had the great pleasure of taking students from the Los Rios Rock School to Sunset Sound for a recording project. But not just any recording project, Studio 1 was set up and in one day the students recorded VAN HALEN's first album in its entirety. The significance of being in Sunset Sound, and in studio 1, is that it is the exact room that VAN HALEN made that very album. The studio is great at keeping records and they looked into the archives and found a copy of how VAN HALEN had the studio set up for tracking and it was recreated as closely as possible for the student's recording. Drums, amps, microphones, the console and echo chamber were set up the way that it was documented that VAN HALEN did it forty years ago! 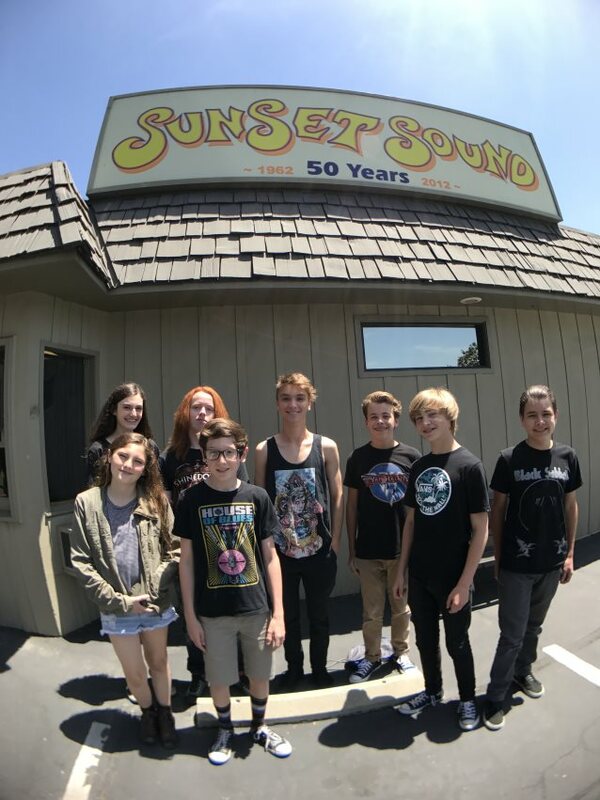 Produce Like A Pro and the Sunset Sound team mimicked the exact setup, in the exact same room and the Los Rios Rock School kids came in extremely well prepared with the guidance of the schools highly trained instructors and Teacherzone.com. To recreate Alex Van Halen's drum sounds, the following microphones were used — the two kicks: Shure 546 Dynamic Mics; snare top and bottom both 546; the three overheads are AKG 414 EB; toms are top Sennheiser 421 and bottom Shure SM57; the sole Room mic is a U87. For Michael Anthony's sound, the bass amp was mic'd with a RE20, and for Eddie Van Halen's guitar sound, the guitar amp was mic'd with a pair of SM57s. The videos from the Los Rios Rock School recording can be seen below. From new musicians to aspiring young pros, Los Rios Rock School provides expert instruction in guitar, drums, piano and all rock instruments, as well as vocals, songwriting, theory, sight reading, engineering, performance and recording. Combining weekly private lessons and group rehearsals, the school's goal is to prepare students to confidently take the stage in front of a live audience. As a premier music training center, our teachers are professional musicians who are dedicated to creating supportive yet challenging settings that will help students develop a lifelong appreciation of musical performance.